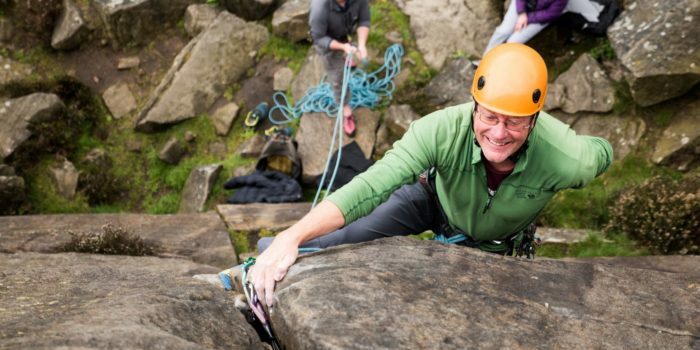 We are the High Peak’s largest and most active climbing club. Most of our 200 members are based in the South Manchester, Stockport, Glossop, New Mills, Buxton and Macclesfield area, with a growing number in Sheffield and further afield. We have a very active meets program. We usually have a weekend meet to a different part of the UK every fortnight throughout the year. 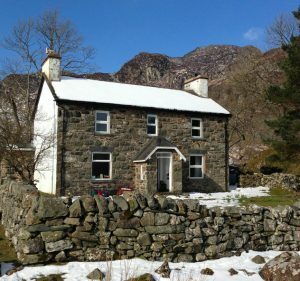 Every Tuesday evening we climb locally (outside on crags in Summer and inside in Winter). 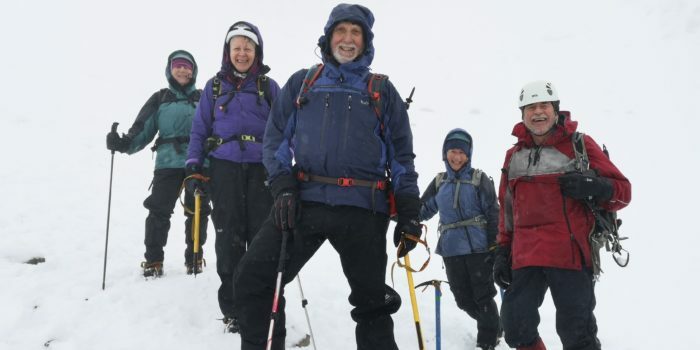 We also have a series of longer meets throughout the year including: a Scottish Winter trip in February; a South UK/ European hot rock trip over Easter; a week in Scotland or Ireland during Whit; and a multi-week Alpine Meet over the summer. You are very welcome to get to know us a bit first before joining. Our meets are very informal. 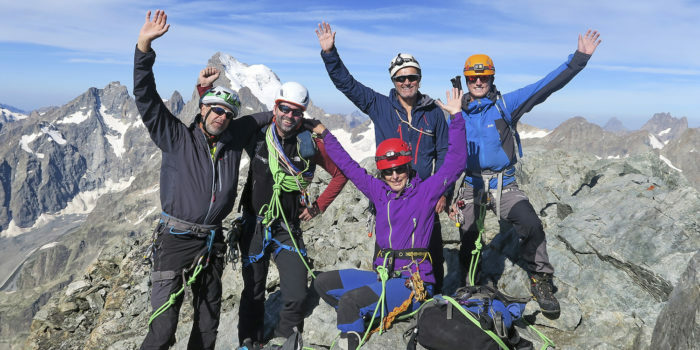 You only need to turn up and one of our members will be happy to climb with you. Check our Meets page for Turn Up and Tie On events held early in the year. We are a family-friendly club and supervised children of all ages are welcome on meets and at the club hut. However, we can only offer formal membership to those aged 18 or over. About a third of our members (and half of our active members) are women. It is assumed that you will have some climbing experience. If you are an absolute beginner, then we recommend first attending one of the introductory courses offered by all the local climbing walls. During winter, a good way to find out about the club is to join us at Awesome walls, Stockport most Tuesdays from around 7pm for a chat and some climbing. Alternatively, you may fancy joining one of our “Social Sundays” which are on the first Sunday of each month from November to March. These involve either an organised walk or indoor wall session during the day, followed by a meal and a lecture* in the pub afterwards. During summer (i.e. daylight saving time), don’t be afraid to ‘rock up’ to any of our outdoor Tuesday evening meets. 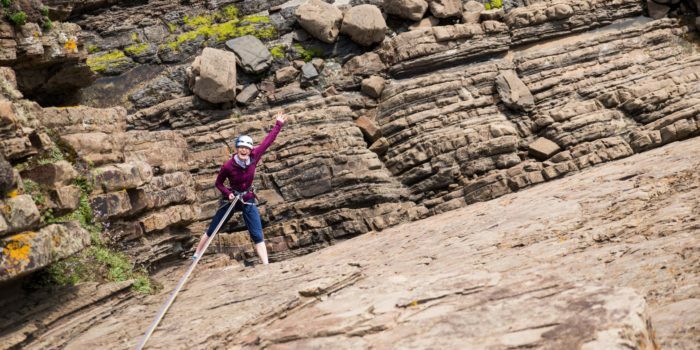 You are also welcome to contact us about attending one of our longer meets where you are likely to have the opportunity to get involved in anything from multi-pitch sea cliff climbing to mountaineering to mountain biking (and a wealth of more gentle activities if that’s more your scene)! You can find out a bit more about some of our members, our impromptu meet-ups, and who might be attending Tuesday evening meets each week from our Facebook page. Whatever you fancy joining in with, please contact the Membership Secretary (members@mynydd.org.uk) so that we can ensure that you are given a warm welcome.